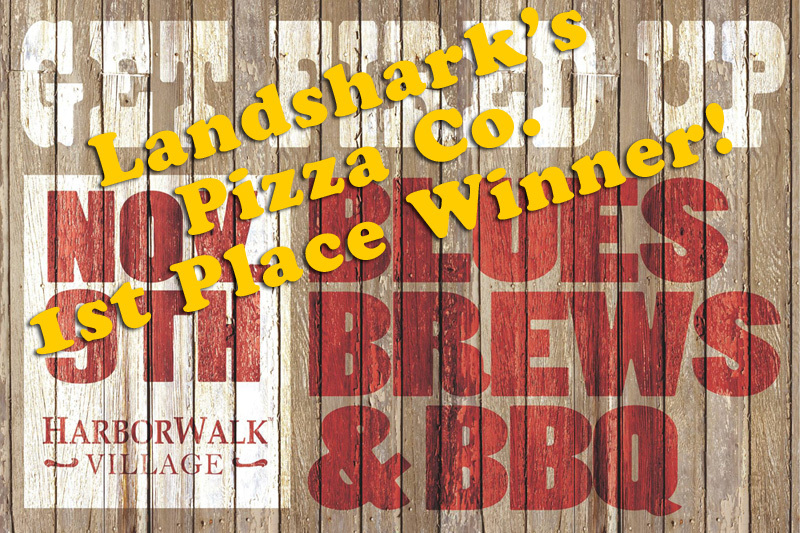 / Best Award Winning BBQ Destin FL / Landshark’s NBA CAVALIERS vs CELTICS Game Seven, PGA Finale, MLB & NASCAR Coca-Cola 600 $8 Pitchers, $12 Buckets & More! 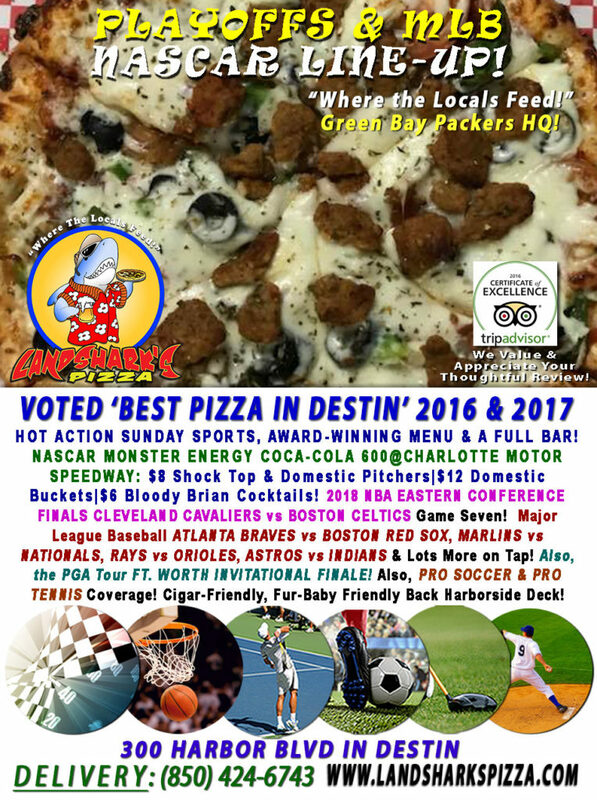 We’re talking GAME SEVEN Eastern Conference Action on tons of screens in Destin with NBA Playoffs, PGA Finale & other excitement! 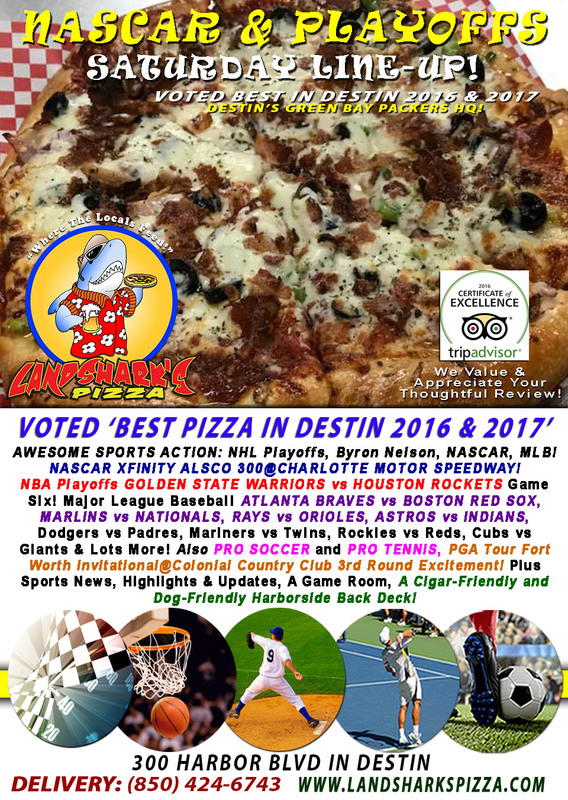 Summer Season is OFFICIALLY here in Destin with playoff action for NBA fans & thunderous racing for NASCAR fans – Landshark’s has your sports addiction covered with MLB, Tennis, Soccer & fantastic food! 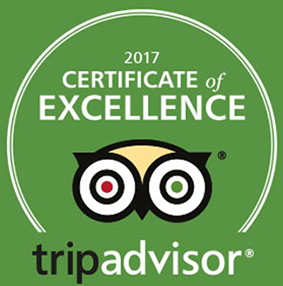 Take advantage of today’s NASCAR Coca-Cola 600 RACE Specials: $8 SHOCK TOP PITCHERS|$8 DOMESTIC PITCHERS $12 DOMESTIC BUCKETS & $6 BLOODY BRIAN COCKTAILS! SMOKIN’ HOT SPORTS ACTION On Our Army of Big Screens – NASCAR MONSTER ENERGY COCA-COLA 600@CHARLOTTE MOTOR SPEEDWAY! NBA EASTERN CONFERENCE FINALS CLEVELAND CAVALIERS vs BOSTON CELTICS Game Seven! PGA Tour FORT WORTH INVITATIONAL@Colonial Country Club! 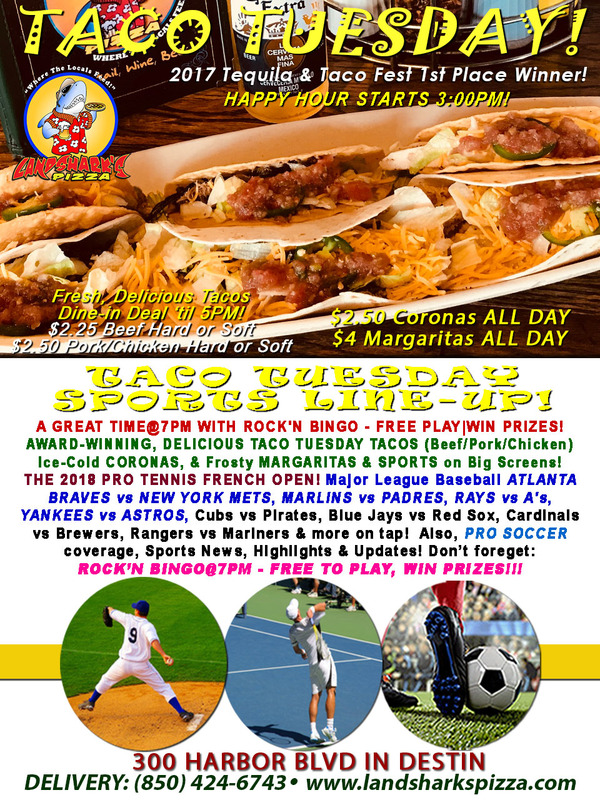 Major League Baseball ATLANTA BRAVES vs BOSTON RED SOX, MARLINS vs NATIONALS, RAYS vs ORIOLES, ASTROS vs INDIANS & Lots More on Tap! Also, PRO SOCCER & PRO TENNIS Coverage, Sports News, Updates, Highlights & Analysis! 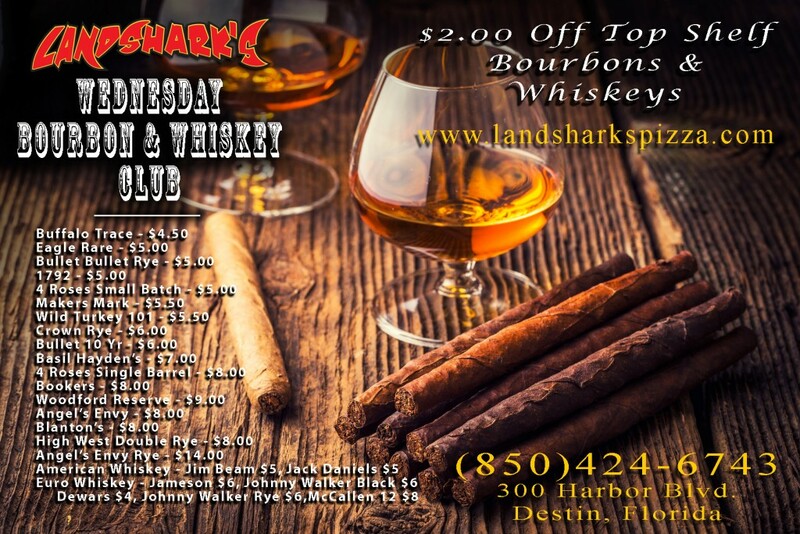 Previous Post: « Landshark’s Super Saturday East Pass Slacker Half-Mile Race Festivities, NASCAR Alsco 300, MLB, PGA & More!